Since I’m lazy by nature and the only real exercise I get is gardening, I was SO happy to see this little infogram on Pinterest and Facebook. I don’t know who posted it first but it was on FB a gazillion times so I don’t think I’m in trouble for putting it here. When I saw this I grew a gigantic grin. 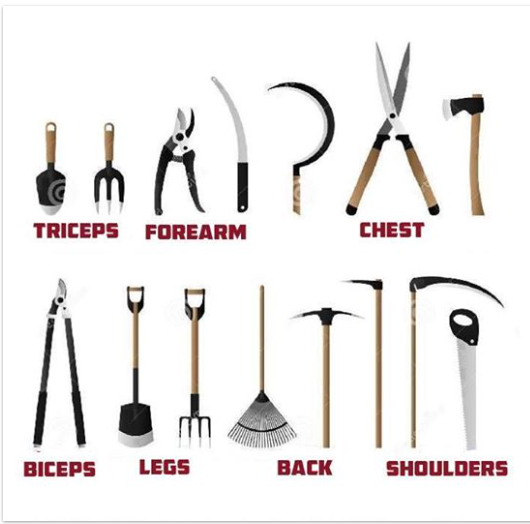 So…To begin with…here are some gardening tools for triceps.